Worldwide Janitor is an international exporter for all of the products listed on our website. Due to our close proximity to the Port of New Orleans,(Louisiana, USA) - we have a distinct advantage over many other manufacturers who are required to add on ground shipping prices just to get their materials to port. The Port of New Orleans is one of the top ranking ports worldwide, having ships that sail to many destinations. We can fill partial and full, 20' and 40' ocean containers with any of the goods you see listed on our website. 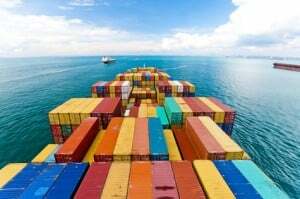 Due to the size and weight of these items, along with their relatively low cost, ocean freight export is the mode of travel that is best suited for bulk overseas export of these products. We can even handle hazmat products, such as acids, that many other companies will not ship. Below is a list of some of our many products available for international ocean export. For international orders, we accept wire transfers, check or money order, and even Bitcoin, which is the fastest way to get your payment through. Other than Bitcoin, all wire transfer, check and money order payments will require additional time to clear the bank, so please plan in advance for this when placing your order. Orders are placed once the payment has cleared the bank. Most of our products are stocked in large quantities in the warehouse and manufacturing plant facility in the New Orleans area, but for large orders there can be additional fulfillment time. In addition, we do carry some products that are produced by other manufacturers. Contact us in advance to get an idea of how long it will take to get your order to port. To inquire about getting our products exported to an overseas port, email us at sales@worldwidejanitor.com or call 1-888-252-6284.